It is well-known that physical activity is essential for the management of childhood obesity, and yet it is increasingly difficult for children to achieve the recommended 60 minutes of daily physical activity. Through the integration of movement, nutrition and health with the basic academic content, TAKE10 promotes physical activity, healthy eating and learning in a fun and creative way. 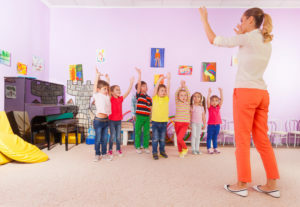 TAKE10 is a physical activity program in the classroom, developed by the ILSI Research Foundation with the help of health professionals and education experts, which combines academic instruction with 10 minutes of physical activity. TAKE10 was designed by teachers for teachers to ensure that it is fit for purpose, that is, intervention must “fit in” within the existing school system, and must be sensitive and adaptable to teacher priorities, such as time and performance academic. The program uses the specific learning objectives of each grade where teachers can incorporate activities that align with the daily lesson. The TAKE10 teacher’s manual provides the framework for the integration of physical activity in the classroom. As teachers become more comfortable with the concepts, they can begin to develop their own activities or even allow their students the opportunity to lead the class. Implement the TAKE10 project in the Caribbean countries through the delivery of the TAKE10 kits! and the training of local teachers. Dr. Anisa Rancharitar, West Indies University, Trinidad and Tobago. The project will last for 2 years.